Elections in Palestine major achievement. All Palestinians and friends of Palestine should be congratulated on the elections! Despite occupation, travel restrictions, checkpoints and a number of other obstacles from the Israeli side, the PA, the political parties and the constituency managed to have the campaigns, hold the actual voting, count the vote and present the results all at a remarkably high standard. No state in the region has ever been able to achieve such a standard under such conditions. 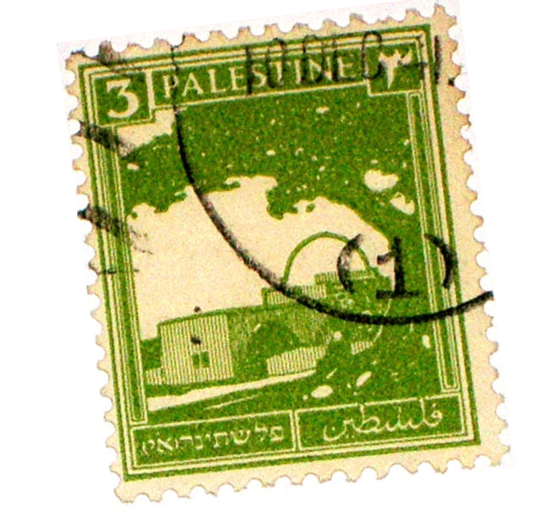 Formal parliamentary democracy is now established in Palestine. For it to become a real and functional democracy it still has some way to go, but this was a very important step in the right direction. Here I would add that only a few if any countries who brag about being democracies are doing very well against the deep criteria for a real and functional democracy. Western politicians seem to believe that Palestine only will be democratic if the new leadership is pro EU/USA. Why did people voted for Hamas? For a few days Palestinians tested freedom and democracy. Many liked it. It was a form of People Power never previously experienced in Palestine. I have difficulties in imagining that the people would ever accept to go back to the old system. Worries about Hamas introducing a theocracy, as exists in Iran and the Vatican, are not very probable. It would never be acceptable to the majority of those who voted for a change. Any development in the direction of fundamentalism will grow the more rest of the world isolate the new government and parliament from the rest of the world. For those who want the new power-holders to adopt democracy and respect for human rights there is an urgent need to open doors and initiate dialogues. The recent election should be analysed in the light of the previous municipal and presidential elections, also taking into consideration the recent developments in Lebanon, Syria, Israel and Iraq. Many voices have already been trying to explain why Harakat al-Muqawamah al-Islamiyya [Hamas] did so well. I agree with a lot of it. Allow me to briefly indicate the points I agree with and then add some arguments of my own. I agree that many voted for Hamas to punish Fatah for the prevalent corruption, for not being able to deliver what they have promised, and just because, after so many years with more and more problems, they wanted to try something else. The institutionalised corruption within the PA was causing serious problems for many, many Palestinians. Mahmoud Abbas has so far not managed to reduce the level of corruption significantly. We should not underestimate that many voted for Hamas because its significant and important work on welfare, schools, distribution of food, etc. They have a record to be proud of in these areas. The PA was for many the symbol of unemployment, poverty and even hunger. Hamas has for a long time now been much better on all sorts of grassroots activities within labour unions, student organisations and other youth organisations. They are overall better on mobilising and organising ordinary people than Fatah, which has been using too much of their resources and skills to monopolise most political institutions. The religious factor was important for many, but it was not the case that every voter used the ballot for religious reasons. People do have a tendency to be more actively religious in times of crises and war. When everything is chaotic it is good to have a fixed point in life. For many the Mosques, the Imams and the Koran have been such a safe place in their lives. Hamas is announcing publicly that they are an Islamic movement following the Sharia laws and, for good reasons, representing these values for many people. But many of those who voted for Hamas this time did not do so for religious reasons. It seems probable that in addition to “punishing” Fatah, many just wanted a change and probably many thought that Hamas was a better choice for purely pragmatic reasons. It is important to separate the rhetoric from the practice when we judge Hamas. And we must bear in mind that their representatives, just like any other politicians, use different languages and arguments depending on their audience. The main message in the election campaign was much more liberal than the most radical quotations western media are digging up these days. What a Hamas leader is saying to radical devoted followers will of course be different from what their newly appointed PR consultant, Mr Aqtash from Birzeit University, will tell Western media. In all probability, their practical politics will not reflect either of these versions. The growing armed resistance against the US-led occupation in Iraq has encouraged many to believe in the power of the Kalashnikov, the suicide bombs, and the road-side bombs. This is just as important as a very complex process which deserves a serious discussion. The main problem is that so many believe that the choice is between armed resistance or passivity. All the other options available to influence the situation are not on the table in most of the restaurants in Ramallah or the cafeterias in Nablus. This represents an enormous task for those with knowledge and ideas about how to promote a sustainable peace with other means and without violence or passivity. • Chaos after the death of Arafat. It is of course also important to recognise the effect the death of President Arafat has had on Fatah. Without his clear leadership, a number of old internal conflicts popped up to the surface. All of them destroyed the former unity and some of them had devastating impact on the results of elections. From the time when Mahmoud Abbas was prime minister the old guard of Fatah people stood against him and behind Arafat in several conflicts. The results of the elections could be seen as a form of revenge. One factor I think is underestimated is that Fatah (and consequently PLO and the PA) has for too long been dominated by what is sometimes called the “Tunis-generation”. The bright, young, and intelligent Palestinian men and women with a burning eagerness to “serve their country” did not have access to political positions when Arafat was the leader, and not enough has changed in this respect during the first year under Mahmoud Abbas. Their qualifications were not used by the PA. This is a very delicate problem. How can you remove elderly men from their high positions without offending them? The cultural context makes such a move even more complex. There are also financial dimensions to this problem, not unrelated to the well known levels of corruption. If they had been given positions in PA, the younger generation of leaders could have been very useful in changing the internal culture and adapting to the new times and conditions of today. The old PLO traditions of how to run an organisation were developed, and made much sense, when it was mainly an armed guerrilla movement. It is not fit for the situation of today when the task is not to fight the enemy with military means, but to win open and fair elections with a constituency consisting of a lot of young, poor, disillusioned people and large groups of people who are third generation refugees living in camps. Another factor I would like to raise is the effect of international actors and media labelling Hamas as a terrorist organisation. Both EU and US, but not United Nations, have place Hamas on their respective lists of outcasts (“terrorists”). It is basic psychology that when “all” external actors put guilt on one party, there is a tendency that that party earns support from its own people. With extreme one-sided rhetoric from US, Israeli and European politicians and media regarding Hamas nobody should be surprised by the growing support for them. The fact that Hamas obviously was the group Israel and USA feared naturally made them heroes among many Palestinians. What will come out of these elections? In politics the possibility to predict the next steps is just as difficult as in meteorology. With sound information on today’s situation, it might be possible to make fair predictions for the next five days. But more than that is nothing more than a guess. However beyond that, everything is pure guess work. The situation in Palestine is absolutely no exception to this rule. The guesses can be more or less qualified deductions, but they will still basically be guesses. Too many factors are unknown and each of the known factors is in constant change. Given this disclaimer, let me present some of my views on the options, possibilities and challenges ahead for those who are engaged in helping determine the future of the Palestinian people. The coming elections in Israel will of course have an immense impact on the possibility to negotiate with the new PA. But this is not necessarily a question of left or right on the political scale. We have seen many examples that conservative politicians have had more room for maneuvering than the more leftist ones. I am not saying that I would like to see a hawk as the next nest prime minister in Israel. I am just making the point that politics is much more complicated than the restricted view that it can be placed on a mono-dimensional line from Left to Right. In the immediate future I am concerned by the financial situation of the new governement. Without money to pay salaries at the end of the week, the reaction from administrative personnel, police forces, security personnel and others will come very soon. The amount is not insignificant as we are talking of around USD 100 million a month just for salaries. Since the occupation makes almost every sort of business impossible the only way this money can be delivered is by donations from abroad. USA and EU have been the main contributors so far. It would be extremely short-sighted for them to stop the flow of money due to the fact that the fair elections resulted in an outcome that they do not appreciate. The Arab League has joined those voices that want Hamas to disarm and accept Israel before any funds can be transferred. I believe such declarations will come, but it cannot be expected over night. It cannot be expected that such a shift in policy can be the first move of the new Parliament and Government. What sort of signal would that be to their constituencies? We have already seen several indications from Hamas that they are on the move in positive directions on these questions. Give them some more time and they will deliver. If the US and the EU stop giving money to the PA, I am sure Iran will step in, complicating things enormously. Hamas will need to deliver positive results for ordinary people almost immediately. A majority of those who voted for them expect results within months. This will be the main challenge. All opposition movements that have gained power have faced the difficulty of meeting expectations, of delivering real change relatively quickly. For the average Palestinian this means that she or he gets a job, food on the table, less travel restrictions, more safety (as opposed to security) and improvements in the infrastructure (roads, electricity, sewage systems, water supply, etc). The next great challenge will be for the new government to control the police and security forces. Will the forces obey the new Parliament? What if they don’t? What will be the relationship between these forces and the armed groups within Hamas? Formally, the president, Mahmoud Abbas, is the supreme commander of the Security Forces. But with only a minority in the Parliament supporting him, it will be very difficult for him to have real control over these forces. His earlier proposal to share the function as chief of the Security Forces with a deputy president could soon return to the agenda. The conflicts around the security forces are the possible “powder keg” in a worst case scenario of civil war in Palestine. And that is a situation the hawks in Israel would love to see. I would be surprised if they not already are doing their best to create such a situation. Mossad, Shin Bet and their collaborators are probably working hard to create splits at this very moment. What can be done to prevent them from having success in this? (As I am writing these lines I hear on radio that Fatah people have stormed the Parliament in Gaza and Ramallah and my heart is crying). A serious problem is the lack of people within Hamas with skills and practice in running a country. There are thousands of positions to fill in ministries, agencies, security forces and so on. Very few have experience relevant for such positions. This is not to says that they will not be able to find excellent ministers, but it will take some time for them be warm in their chairs. The step from being hunted by IDF as “terrorists” to acting as ministers is a pretty big one. For the many other positions it can be very difficult to find people at all. The organisations they are running well today cannot just be abandoned. Some could turn into governmental agencies, but not all of them. There is also a set of questions on the smoothness of the transition from the old Fatah-led organisations will run. Nobody believes it is going to be easy for the outgoing or incoming representatives. Many Fatah activists obviously want to make the takeover as difficult as possible for Hamas. They are doing their best to create problems for the incoming representatives. Some even think they can create enough chaos to have new elections relatively soon and then come back in power with “clean” hands. I doubt if this option is wise or viable. There is for the moment a strong need for conflict resolution between Hamas and Fatah. But I cannot see any obvious mediator who has respect enough in both camps. Whatever Hamas wants to achieve over the next four years of power in Palestine, the international actors manipulating the processes in the region will be at least equally influential. The short and long term fate of the Palestinian people is not only up to Hamas. If they are able to fulfil some of the welfare actions they have promised it will be good for the population. If they, due to incompetence, external interference or domestic conflicts cannot deliver, they will be removed in the 2010 elections. For the moment I would argue for maximum level of contacts with all parts of Hamas. Isolation is as unhealthy for political movement as it is for normal individuals. Meet with them, congratulate, discuss, listen, learn and present your views in open and honest discussions. Since most states seem to avoid contacts with Hamas, these tasks will need to be the responsibility of civil society actors. There is nobody else to do the job. After some months we will understand if it is time to propose joint projects. Hamas is not a unified organisation. There is a diversity of views on a number of questions inside Hamas. I regard it as very important to understand that and get insights into Hamas and its different sections and currents as soon as possible. It may be imperative to identify which “fractions” it makes most sense to contact and engage in dialogue. I cannot imagine that many are banging on their doors already, but I would like to be among the first ones. The practical problem that US and EU regard it as illegal to have such contacts should not be a deterrent. And even if we initially have to make these contacts partly outside the public sphere, it should also not be a deep dark secret about them. I want to be open about these contacts, and to continue our good contacts with Fatah and other PA people. In this case that IDF/Israel left because Gaza has very little value and mainly was a heavy financial burden and that the withdrawal would probably give them some more credit as “the peaceful and wise actor” in the region. That is a good card for the Israeli government in their ongoing campaign to convince “the international community” that they have to keep settlements on the West Bank. I am not sure that all of these conflicts will be bad for Fatah or the Palestinian people in the long run. It was probably necessary to “ventilate” some of the frustration which had been building up inside Fatah over the years. It was Nixon who first visited China and Reagan was the first to Moscow. No president from the Democrats could make these steps without being criticized for being”too soft with the enemy”. The reactionary ones could make such moves without problems.